We are exhibiting at the Franchise Expo in Auckland which runs on the 10th, 11th and 12th of August at the ASB Showgrounds in Auckland. We will be demonstrating our new BIonaMAP application which has now been officially launched and from day one fully supports all of Australia and New Zealand. BIonaMAP allows franchisors, franchise consultants, sales managers, service managers, distribution and the franchisee themselves to see what is going on in their business on a map. It allows you to create territories on a map on your browser, ask questions about your customers, prospects and analyse your business, viewing the results on a map without having to install any software. Which Territory Does An Address Belong To? It will allow you to download reports from your Accounting Software, Franchise Software, CRM and visualise what is going on in your business on a map. 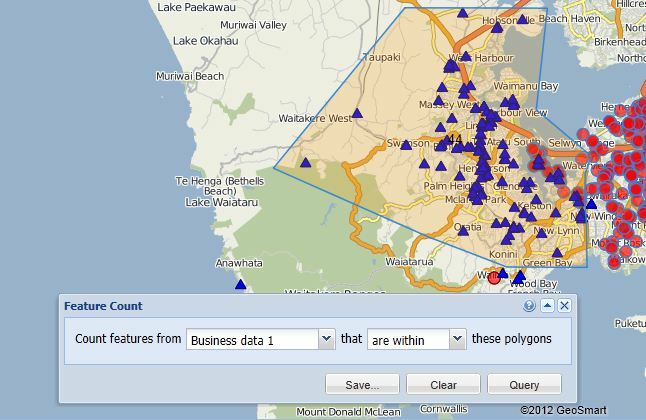 You can print off maps, publish aspects of the reports such as a query on a unique territory to a web page with custom controls and much more. 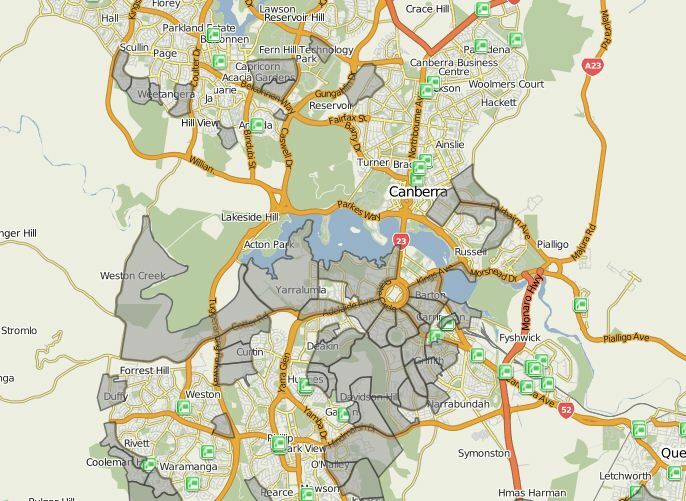 Features include being able to locate which territory a new prospect or customer belongs to. The ability to create territories using your mouse and snap them together so that noone gets missed out. A powerful feature is the ability to query Department of Statistics Census data. 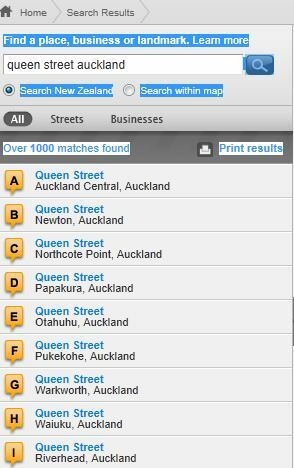 If you know the demographic of the type of customer you are looking for, you can run queries and see the results on a map. You can display your customers on the same map to see if what you think is your perfect customer demographic is in fact where you business is coming from. There are so many features, you really need to come and visit us at the expo so we can discuss your unique business and how we can help. A picture speaks a thousand words and can allow you to really understand what is going on in your business. You can see more on the BIonaMAP website, but we would really love to speak with you in person about your business whether you are a consultant or business analyst looking to assist your clients, or you are a franchisor or startup, looking at how to really understand the growth opportunities for your business, how to create and manage fair and successful territories, we have a solution. BIonaMAP is totally browser based and what we call Software as a Service. This means you can use it anywhere you have Internet access. No installation costs and you are in control of your data and how it is used. Please come and visit our stand at the Franchise Expo. If you do plan to visit, get a FREE EXPO PASS from this link. If you can’t make it, then please contact us on phone 09 966 8730 or email info@geosmart.co.nz and we will get back to you. There was a very good article on from eMarketer this month about the difficulties for online retailers in accessing, sharing and analysing information about their business. This is something we have found relates to all business, not just online. Business is all about numbers and understanding what your customers want and when. It doesn’t matter if you are a bricks and mortar retailer like the very successful Briscoes, a supermarket chain selling high volume for low margin or a company with a field sales or service workforce. Success comes down to being able to access quality information. In retail the key information tends to be about stockturn, aged stock, shelf space, gross profit by product and category and so on. Retailers and department heads will have standard exception reports that arrive on their desks, daily, weekly and monthly and they will make their buying and promotional decisions based on these reports. As per the table, research shows that often data is used for the key purposes of business as usual, but often it is only available to a few people and there is very little use made of information about who the customers are, where they come from, the context in which they do their shopping and much more. 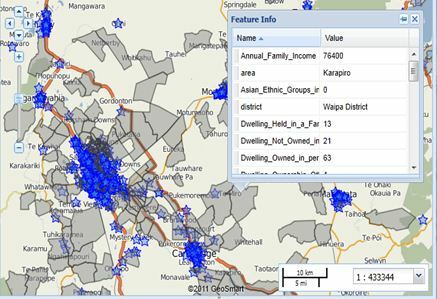 GeoSmart’s BIonaMAP is a tool that can allow companies to visualise more information in a way that allows them to look strategically at location based information about their business. It might be a retail chain deciding where to place their next store, a loyalty program that wants to understand their customer demographics or a sales or divisional manager wanting to create fair and manageable sales territories. By combining information from the Point of Sale system or the financials with a map, it becomes possible to cut through the clutter and see the big picture. BIonaMAP is a SaaS (Software as a Service) application. What that effectively means is that all you need in order to use it is a web browser and an Internet connection. You don’t need to install any software. Now you can share information with whoever needs it, management,sales and marketing, business partners and suppliers. It might be about where your customers live or work, which ones use one of your products but not another. It might be customers within a certain distance from a store or using demographics to decide where best to place your next store. The potential is limited by your imagination and currently to within Australia and New Zealand. Effectively anything that has a location element to it and where data can be exported as a CSV file from your financials, CRM or other application can be interrogated within BIonaMAP. Do you suffer from death by spreadsheet or wish you could see the big picture, large corporate, franchise or SME, we would like to talk to you about how to harness your business data and increase your productivity and profit. 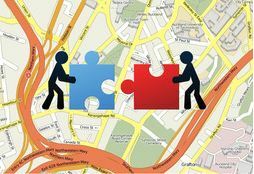 In the traditional corporate environment location based information about your business tends to come from the IT or GIS department. This tends to result in traditional reports based on historic requirements. They tend to be standard reports that you receive in the same way as you receive your financial reports. 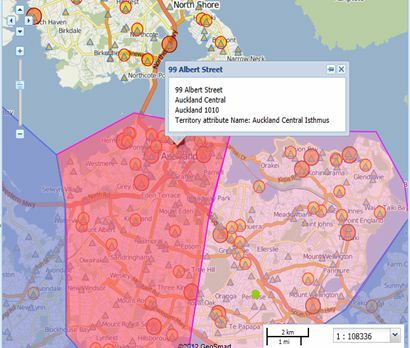 In New Zealand only large corporates even have access to GIS data. BAU (Business As Usual) means results as usual at best, but if someone else is working smarter, that means that they are likely to be taking business off yours. Our BIonaMAP application changes that. There is no installation required and it is now simple for a Sales Manager, Service Manager, Product Manager, Marketing Manager and others to have access to what is going on in their business in ways they haven’t been able to before. One of the most basic areas I have found in previous lives as a Sales Manager and as a Franchisor has been creating fair territories on a map. This traditionally involved buying a map, using a sharpie pen to create a territory and covering it in different colours of map pins. Of course as soon as you created a territory and needed to change it, it was start again and of course now your office wall is covered in holes. Now it is as simple as clicking with your mouse and your new territory has been created. Zoom in on the map to tidy it up so that you can split streets up to left and right if necessary and now you can start viewing what is going on in your business. Any information you have about your customers in a CRM, accounting software that you can export can now be viewed on the map and you can run queries about that data and view the results straight away on the map. Examples might be profitable customers, customers who haven’t bought anything in the last month, customers who buy one product but not another, prospects who use a competitors product. You can count results and compare territories with each other with ease. Why is one territory better than another? I was just reading an article about some research from Avaya and BT about The Autonomous Customer. It reiterates a lot of inmation you already know but should perhaps be reminded of. 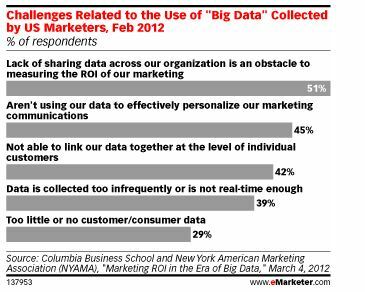 60% of respondents said they change their contact channel with brands based on context, i.e. where they are and what they are doing. 51%, the autonomous customers, cut organisations out of the loop altogether but trust the advice of unknown others on forums, review sites etc. I found this research through an article at thewherebusiness.com which discussed research about how people are managing their money. Where they bank, how they decide to borrow money and the influence in location on those factors. It makes for interesting reading and whilst New Zealand is a small country and has few banks, one element that shone through with high relevance was the willingness of people to share their location with their bank or credit card company. The relevance for New Zealand of course is that 4 Canadian people have just been arrested for putting skimmers (devices that copy the information from the magnetic stripe on your credit or EFTPOS card) and subsequently allowing people to draw money from at least 60 people’s accounts over Easter 2012 from ATM machines in Canada. The story says that these skimmers had apparently been installed in Parnell, Ponsonby, Orewa, Takapuna and Howick and allowed the theft of account information from at least 500 people. If the banks embraced location based technology with Smartphones (before Google Wallet, Paypal or a telco takes over m-commerce) people who allow their banks to know where they are through their mobile could be protected. Effectively if the bank knows I am in New Zealand, then I am unlikely to be in a position to withdraw money from an ATM in Canada with my card. Of course there is a lot more gold (pardon the pun) in location based intelligence for banks. Banks probably all have a GIS person on board who has the ability to prepare reports for Business Analysts to make decisions about where to put branches, based on where their customers live, work and play. However, the problem with GIS is that unless you have personal access to it in real time and can do modelling with ease (requiring software and skills) and without long delays or having to wait for someone else to run queries on what they think you asked for, it can easily end up in the too hard basket. In today’s world where a large percentage of people do not carry cash, but want to borrow and spend money, finance houses and banks need tools like BIonaMAP to be able to understand what their customers are doing and where. Tools that are secure, but can be accessed via a web browser within the intranet can allow the modern banker to stay a step ahead of their competitors. If you can’t assume loyalty, you need to understand your clients and their needs and be ready to adapt quickly. According to this 3 News Story today, Credit Card Fraud Proceeds Surpass the Drug Trade. That must be a good motivator for banks to start talking to location based service companies like GeoSmart. According to this Australian story from Today Tonight, it takes just 60 seconds for someone to convert a retail EFTPOS terminal to steal information from all of the cards that are swiped through it and the customers would have no idea their identities had been stolen. What does this cost the industry and what stress does this cause to consumers? BAU Business As Usual can’t be the way forward for the finance industry. I’m sure we don’t want to go back to carrying cash. Would you be happy to let the banking system know where you are so that they can confirm that the person using your card is you? This month I had the pleasure of presenting to the New Zealand Freight Summit at Auckland University to a diverse group of people from all facets of the transport industry. There were a number of common threads and one of them was sustainability. This is a word that is bandied around a lot, together with concepts like carbon emission trading and taxes, but I wonder how seriously a lot of companies are taking it. One motivator is compliance. Government departments and many corporates today have KPI’s which require that they do business with companies who have sustainability policies and practices. We have responded to a number of tenders recently which have asked us to specify what sustainability practices we have put in place. I have read many articles that say that companies which have sustainability practices are more profitable than those that don’t. Obviously the above is one good reason, effectively there are contracts they won’t win simply based on the policy. There are of course other good reasons that also hit the bottom line. The most obvious one is the rising price of oil. If you use tools such as Route Optimisation and Business Intelligence, you can potentially do more work whilst driving shorter times and distance. That means reduced running costs, reduced maintenance costs, saved time which potentially means being able to do more work in the same amount of time and bottom line increase in profit. Whether your fleet is one vehicle or hundreds, there are savings to be made and they are easy to achieve. I really enjoyed showing people AA Traffic by GeoSmart. Many of the delegates were not aware that we have real time traffic congestion information covering virtually all arterial roads and highways throughout New Zealand and Australia. There will be some announcements about this in the very near future. 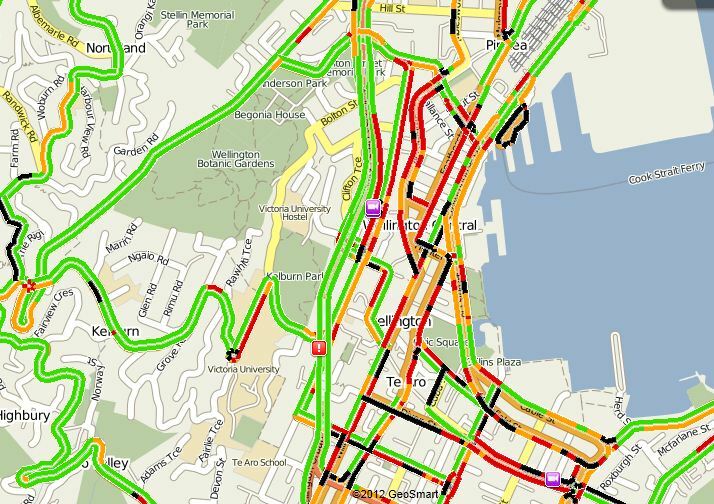 If you are a transport operator, how would you like to be able to see exactly where the congestion is in real time and on the same map, see your vehicle fleet? Does traffic congestion cost your company by not letting your vehicles get where they want to be on time? Wouldn’t it be great if you could have a birds eye of what was going on in real time 24/7? What would that mean to your business? We can help you with that. Utilising technologies like this can help your company to focus on reducing overheads when the economy is tight and allows you to tell the market that you have sustainability practices, not just policies. Of course in doing so, you are actually taking practical steps to reduce your company’s carbon footprint and doing something good for your country and the planet. Want to know more about how you can use these technologies in your business? We’d love to talk with you. Contact us today. I’ve blogged about route optimisation many times recently. One recent blog talked about Fleet Management, our new BIonaMAP application and some other wonderful concepts, as ideas on how to save your business money and time and thereby increasing productivity and productivity. I would like to break this down a little bit because there is a misconception out there that all of this technology requires spending lots of money and installing expensive equipment in your company vehicles. Let me break it down for you. There are some wonderful solutions out there, many of which are offered by our valued partners and they all have a purpose and fulfil business needs. Some business problems are complex and require complex solutions and some are simple and provide very quick return on investment. So here is a simple problem. You have one or more vehicles which need to go out on the road and do several jobs. They may be regular runs, or they may be different each day. Let’s make it even simpler. Let’s break it down to one vehicle. You may have lots of vehicles, but let’s just look at one of them. Here we have a merchandiser, who has to visit a number of supermarkets. One person has to visit 9 grocery stores, checking their stocks, managing the shelf placement, demonstrating new products, taking orders. As do many field sales people in New Zealand and Australia, their territory comprises of urban calls and calls out in the country and they spend a lot of their time driving. The problem is that you can only fit so much time in a working day. You can have a pretty good idea of what order to do the jobs in, probably the order you always do them in. The other problem is that the price of petrol is going up, prices are coming down and your budget is going up. You need to get smarter. Our Route2GO Lite application is a simple web service. There is no software to be installed, no set up fees and as Software as a Service you only pay for what you use. In this case person, who is a great sales person, spent 28 1/2 hours in the car, dead time between calls in order to make those essential visits. Route2GO worked out how she could do the same visits but spending only 22 hours in the car. Now she can either fit in more calls in the same amount of time or spend more time with each client enhancing the relationship, doing product knowledge training with their staff and increasing the average sales she generates from those clients, which reduces the pressure on her and her sales manager to get the results the company needs. We also cut over 400km in driving distance from this sales trip. At even $1 per km that’s a lot of money going back to the bottom line. So what do you need in order to achieve a result like this? A PC with a web browser. An account with GeoSmart and a little time. For this run which included 9 clients and returning to base with a pile of orders, the total cost to GeoSmart would have been $6.25. No hidden surprises, that’s it. This includes the fee for geocoding (generating coordinates for calculating the route) and the optimisation from the office, to the 9 stores and back to the office. Oh and the cost of a piece of paper if you want to print off the above map and route. It really is that simple. If you want to know more, why not contact us? We’ll even do a couple of runs for you for free, preferably ones you have already done previously so you can get a genuine comparison as to whether it will work for you. This was a dramatic example, in some cases it might only save you a little, but if we could help you visit one or two more customers in a trip without increasing your fixed overheads, every trip, hat would that add up to over a year? We have more information about route optimisation in our blogs, so why not have a scroll through and see if you can find an example that’s relevant to your business. In an upcoming blog I will explain in simple terms what route optimisation actually is and why we can do it better than you can drawing pictures on a map. The key point of this exercise is that you can achieve dramatic results without putting in any money upfront and without having to buy any technology you don’t already have. 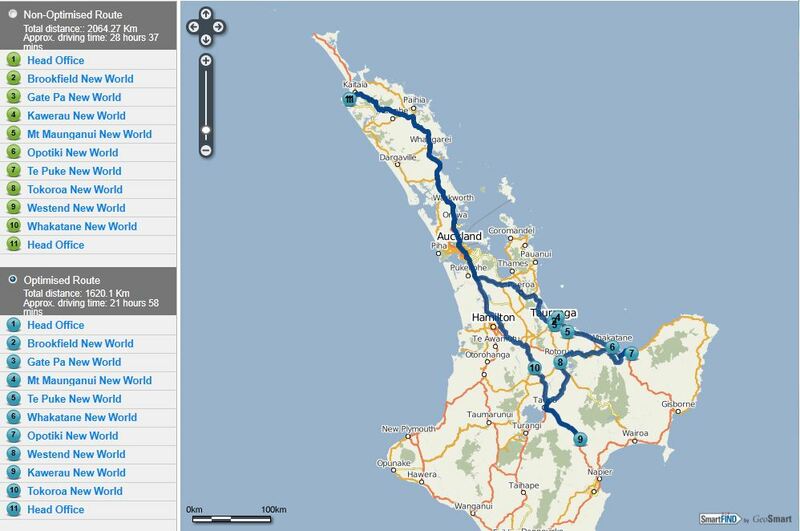 Route2GO is available for New Zealand and Australia. You don’t need to be a rocket scientist to understand that petrol and diesel could well hit the highest prices ever this year. This is likely to have a significant impact in New Zealand and Australia where we rely on other countries to provide our fuel. Irrespective of the state of our economies, we are relatively low in the rungs of priority if supplies become short worldwide. 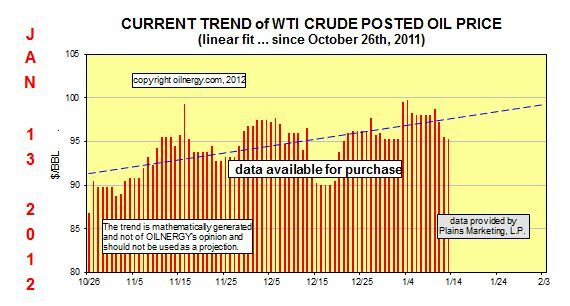 Obviously oil demand is increasing globally, irrespective of international politics and our exchange rates. The following graph shows the trend just over the last 3 months. The implications are obvious. If you have a fleet of vehicles on the road, your running costs are going to increase and you have very little control over what you are going to pay for fuel. Monitoring driver behaviour such as harsh acceleration, speeding and other activities such as engine idling time where reports can identify drivers who may benefit from education on the impact of these activities to your costs. Monitoring the use of the vehicles, eg personal use or order of use. You might look at operational improvements such as whether it is more economical for the driver to start from home, closer to their first jobs in the morning as opposed to leaving the vehicle at the depot. You might want to focus more on load management, are you sending trucks out with a load but bringing them back empty? You might want to look at whether there are other jobs in the vicinity of the vehicle that could be completed without the vehicle coming back to base and going out again. GeoSmart has a number of tools that can help you with these considerations. For example Route Optimisation with Route2GO can help you eliminate the guesswork of what order jobs should be done in. If someone is going out and doing one or 2 stops and going back, that’s one thing, but if a vehicle is making several stops on a trip, it is unlikely that many people have the ability to work out the best order to do the jobs in. Route optimisation takes into consideration every possible sequence of all the stops on your trip, with an underlying knowledge of turn restrictions (one way streets, no left turns), road class (speed zones, a shortest route might include many compulsory stops trying to cross busy main roads and driving slightly farther might not only speed up the trip but by not stopping and starting through the gears, will consume less fuel) and other considerations. The computer has no emotions, it just solves a technical problem and provides you with a result that will tell you the best order in which to do the work, complete with expected driving distance and time. This can produce a run or job sheet that can also give you an idea, based of your knowledge of expected time on site, as to how many jobs may be completed in one day. Business Intelligence is a whole new story. Imagine being able to see all your clients on a map, run queries and reports based on any information you have in your database or work management application. How would you like to be able to manage run territories, understand profitable clients, see where upcoming jobs and priorities are, without having to install any software? All you need is a web browser and an internet connection. A picture speaks a thousand words and being able to visualise your business on a map can shed a light on what is going on in your business in a way that is often very difficult to get from spreadsheets and tables. GeoSmart’s new BIonaMAP Business Intelligence on a Map can help you put the pieces together and show you what your business looks like. We can help you keep your fuel costs under control with practical web based tools that will provide you with the information you need by visualising and viewing your business operations on a map. Information is power. These solutions support all of Australia and New Zealand so if that is where you are, why not contact us to find out how we can help? In our last blog I wrote about achievements such as points or rewards and the appointment dynamic. Another aspect that is very powerful is socialisation. There are many aspects to this including profiling, recommendations and forums and using the appointment dynamic to get more people in the same place. There are many for and against aspects to profiling and it is happening from a Google level down to individual retailers. It is very important if you are profiling to correctly interpret information and to ensure that if you are doing it in a loyalty environment that the loyalty members understand what you are doing and that they have given their permission. I have said on many occasions that done in the right way, combining educated opt in, location, interests and open to buy is very powerful. 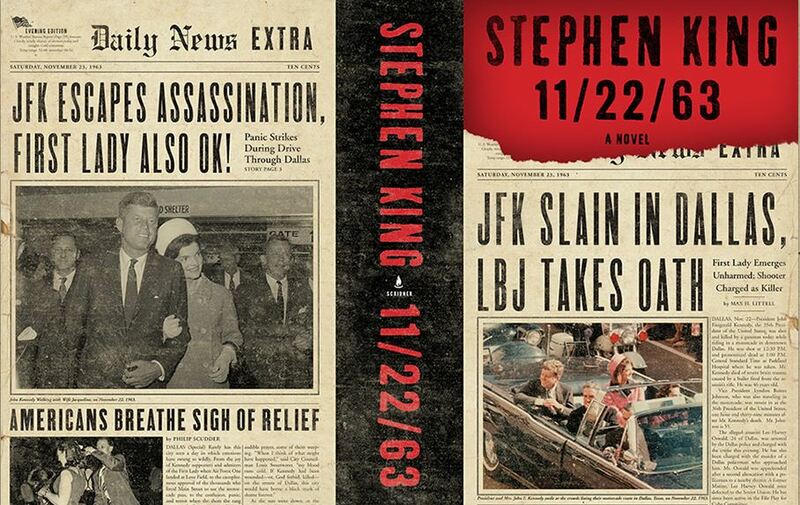 As I’ve said before, if Borders (I have VIP Card on my key ring) sent me a notification saying that the new Stephen King Book 11/22/63 is in store and they will hold a copy for me with a special promotional offer for the next half hour, knowing that I am in the neighbourhood, I will probably go and buy it. However, if they sent me the same message about the latest top 10 recommendations of a certain radio host were in stock, I would probably opt out of their service, even though I may at some stage have bought one of those books as a gift for my wife. There are many ways to mine data about what people are buying and it doesn’t have to be down to product level, category level would be very powerful, and it amazes me that retailers don’t use this as a tool. Profiling needs to be relatively smart and needs Business Analysts able to interpret information and look for trends and not make assumptions on the basis of one or two retail or other destination visits. Buying a hammer doesn’t make me a handyman, but buying tools on a regular basis would constitute a trend. Of course where someone lives can also be a valuable pointer and our new BIonaMAP application that I’ve blogged about before can provide valuable information in looking at trends from multiple people, especially when combined with data from the Department of Statistics Census which the application supports and Mesh Block and Area unit level. Recommendations are powerful. In 2009 Nielsen’s released the results of a study that said that 90% of consumers trusted recommendations from people they know, 70% trusted recommendations from people who post them online and 24% trusted text ads that appeared on their mobiles. There are many ways to encourage people to comment on products or locations in a mobile environment. Some organisations worry about what people will say about them, but if that is the case, perhaps they have some work to do and better to know what they are saying and be able to engage with them, or as was agreed at the last Social Media Club meeting in Auckland, the common scenario is that if someone criticises a business in an online forum, others very quickly come to its defence. In a closed environment it is of course much easier to encourage the behaviour you are looking for from participants by providing them with the value they want. This can be done by rewards such as points for participation, bribes such as prizes and by engaging and showing an interest in them. It has been expressed to me that social media requires additional resources and expertise often not available within destination businesses, particularly retail. Yes it does, the key cost is time and you do need someone who knows what they are doing, but what does traditional advertising cost. If you buy a reasonable sized advertisement in a newspaper, or get an agency to generate letter box mail, what does it cost for creative, artwork, printing and distribution? How many hours of a person’s time would that buy? It’s just another tool and the great thing is that to test the market using services like Foursquare, Facebook and Twitter is that you can try them for free. Add location in an app or mobile web site does involve cost, but done well the return can be huge. Socialisation offers many more exciting opportunities, but to find out what I am talking about, you will have to come back for the next blog. Please feel free to add your comments in the meantime. There are obviously lots of different kinds of loyalty cards. I have somewhere between 10 and 20 cards ranging from Coffee Cards through to Airline Frequent Flyer Cards. I have so many I can’t carry them all in my wallet, which is unfortunate when I find myself in a position to use one. I do carry a Smartphone, so there are opportunities to carry apps. Many retail companies in New Zealand now have apps, mostly on iPhone and Android. They range from cafe’s and fast food companies to tourism and banks. Features include the ability to order food from a specific store, the ability to view the store on the map, make reservations and view points. A lot of companies have had back on using Smartphone applications for loyalty programs on the basis that there are not enough people using them. At the last Social Media Club Auckland event one of the panel questions was what is the penetration of Smartphones in New Zealand. No one had an answer as the telco’s generally don’t want to share this competitive information. However in this month’s IT Brief there was a quote from Tony Baird of Vodafone saying that 66% of their mobile users now have Smartphones. That’s pretty high penetration and growing rapidly as is their data traffic which grew from 60TB in June last year to 135 TB in June this year. It would be reasonable to expect at least Telecom to be showing similar penetration. So, in my last post I talked about a number of aspects of getting to know your customers. Given the statistics in the poll on my previous blog almost 70% of loyalty card holders do not specifically head to shop at a store where they have a loyalty card. In effect this says that the loyalty card in most cases is not attracting people to do business, or effectively be loyal to the retailer or group who invest a lot of time and money into the card systems in manufacture, distribution and all the other aspects of running a loyalty program. In theory this enables the loyalty program to target information to the member and under strict Direct Marketing opt in guidelines, make offers to the members, which typically comes in the form of eDM’s and Direct Mail. The latter is a very expensive form of marketing as is normal advertising such as print, radio and TVC’s. For many industries and products this is tough business. How often do you buy a lawn mower, a TV or an iPhone? The marketing only works when you are open to buy. I recently purchased a new lawn mower, but it was the first one in over 10 years. If I had kept every lawn mower advertisement that arrived in my letter box trying to sell me one and looked at the creative, print and distribution costs, it might have been cheaper for them to give me a lawnmower. Of course all of this advertising is focussed on products that everyone is selling, there is very little focus on products that are unique. Everyone has a promotion on a printer, a TV, an iPhone which forces everyone to focus on price, heavy discounts and the consumer wins if they are looking for that product. Profits up the value chain are massively eroded through the competitive pricing and costs of marketing. Data Mining and Business Intelligence are already used by some companies and very soon GeoSmart will be launching the much anticipated BIonaMAP we have discussed in many blogs in the past. This will allow companies to better understand their customers on the basis of the data provided, including the ability to view their customers and query their information in relation to the Department of Statistics mesh blocks and area units. In this example we looked for where the average household income in Canberra (yes we do Australia too) is equal to or greater than $100,000. If we were looking for loyalty members who had higher than average discretionary spending capability, this could be a very useful tool for target marketing. We could potentially make special offers by overlaying our loyalty card members in this SaaS (Software as a Service) application and then querying them from a combination of the information we have about them and the information the statistics department has about people in the area. In the coming blogs I will get into more detail about what the implications are from the perspective of location, but like anything you need to start at the beginning and in many cases as I have outlined, scatter gun marketing, throwing leaflets into letter boxes does not effectively target people who might change their behaviour in favour of your product or brand. The key to loyalty is a relationship and this comes from engagement. You don’t engage well by putting something in someone’s letterbox. You engage by understanding who they are, what their needs are, when they are out and about and open to buy. As a retailer with a loyalty program you have huge amounts of information about your clients at your fingertips, which is untouched. Here’s a simple example to finish this blog. Paper Plus not only supports Fly Buys, but they also have their own card called My Big Deal. They run promotions for people who use that card. Right now they have a sale on certain children’s books. If you buy the books using your loyalty card and they store that information, they now know (if they didn’t ask in their registration form) that you either have children or have a relationship with children, perhaps as a grandparent. So they know you buy children’s books. This is valuable information that you could take advantage of in your proximity based marketing application. More on the location based aspect for apps is coming up, now that we have covered some basics. If this is of interest, please bookmark or subscribe. If you know of someone else who might be interested, why not send them a link? If you would like to discuss these concepts with us about your own business, please contact us.